Asking a Spaniard what are tapas, is like asking a Japanese what is sushi. Tapas are an important part of the Spanish way of eating (or I should say, the Spanish way of life). However, in every region of Spain they tend to experience them in their own personal way, and that can create confusion when foreigners try to understand the meaning of tapas. So what are tapas? 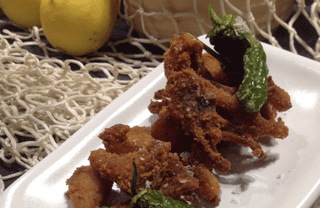 Briefly, the definition of tapas could be small plates to share. But the social meaning of tapas is much more deeper than that: it’s all about the pleasure of savoring not only food but friendship and happiness. Today I’ll be sharing with you some of the few different ways to eat tapas in Spain: all slightly different, but all sharing the same basic definition of tapas. In most areas of Spain (unfortunately, Barcelona is the exception) people would be offended if they didn’t get a free tapa with their drink: you order a glass of wine or a beer, and you get a small cheap appetizer free of charge. If you stay in the bar and keep ordering drinks, a good bartender will be offering you better tapas (evolving from a couple of anchovies for your first drink to maybe a portion of spanish omelette for your third or fourth, for instance). A great trick to get customers to keep spending their money at their venue. The downside of tapas bar hopping is that in most of those bars you need to stand by the counter because there are no tables, and in general Catalan people are too lazy for that. This is why we prefer to go to a tapas restaurant, order a bunch of tapas and enjoy a relaxed meal sitting around a table. In general, the tapas plates will be bigger than what you would get in a tapas bar. While in other areas of Spain they call larger tapas plates “raciones”, in Barcelona we make no such difference: we aren’t that subtle with our definition of tapas. It is quite traditional in the weekends or in the summer holidays to meet friends or family at a bar before lunch, and have some drinks and a couple of tapas to share before heading somewhere else (restaurant or home) for lunch. That’s what we call “aperitivo”, or in Catalan, “vermut” (because people used to order the house vermouth to go with the food). 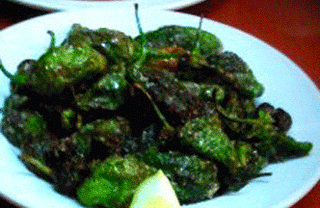 Being small dishes and having a strong social complement, this also fits in the definition of tapas. After all, any small dishes to share can be considered tapas in Spain. 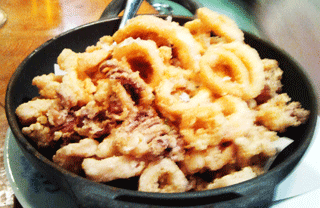 For instance, if we order a plate of calamari rings to share and nibble on while waiting for a paella, that can be considered a tapa. The only exception to this definition of tapas would be at home. Even when for informal meals at home, we might prepare 1 or 2 tapas recipes, we don’t really consider them to be tapas outside of a restaurant setting. AND BONUS! What does the word “tapas” really mean? When I’m asked the meaning of tapas in my tapas tours, I like to answer with a story: The legend says that king Alfonso XIII was visiting the south of Spain, entered a bar and order a glass of wine. It was a very hot day, and so many flies where flying around the bar, that the bartender got scared that one of them could fall into the glass of the kind. So the bartender decided to cover the king’s glass with something: he only had some ham slices handy, and so he covered the glass with them and served the glass to the king. The king, surprised to see such presentation, ask what it was, and the waiter answered “Your majesty, it’s a “lid” (a “tapa” in Spanish). And that’s where, they say the meaning of Tapas in Spanish comes from. Now it’s your turn! 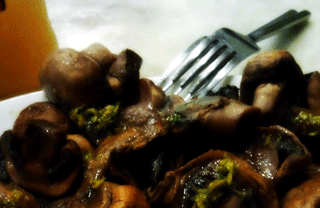 Go to the comments and tell us: what’s your own definition of tapas? Need ideas for Restaurants in Barcelona? Plus receive more great tips for your stay every week! We tell you which are the best! And more food ideas and other tips in our FREE email series. I really enjoy your posts and we had two great tours when we were in Barcelona earlier this year. N.B. I think maybe you mean tapas “hopping” as in jumping from one bar to the next. At the moment it says “hoping” which means “looking forward to”. This is true (at least for me) in terms of looking forward to your next tapa(!) but bar hopping is a more recognizable activity! Thank you for the great posts. Thanks for letting us know about the typo. I just corrected it. Great to hear that you loved both tapas hopping and hoping with us! ? VEGETARIAN SPANISH TAPAS: AN IMPOSSIBLE QUEST? SPANISH CURED HAM VARIETIES: WHICH ONE TO BUY?